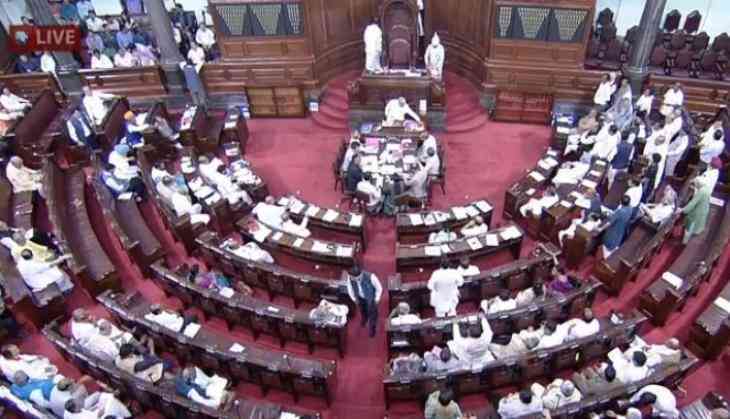 The Rajya Sabha passed the Interim Budget and Finance Bill 2019-20 without a debate on Wednesday-- the last day of the Budget session of Parliament. The Interim Budget, Appropriation Bills and Finance Bill were passed by a voice vote in the Upper House after a broad consensus was arrived among political parties to pass them without debate. Minister of State for Finance Shiv Pratap Shukla moved that the Appropriation and Finance Bills be passed. Rajya Sabha Chairman M Venkaiah Naidu put the bills to vote, which were approved by voice vote and returned to the Lok Sabha. Lok Sabha had on February 11 passed the Appropriation Bills and had on Tuesday passed the Finance Bill. Panipat actor Arjun Kapoor shares an inspirational post, girlfriend Malaika Arora's reaction will give you major couple goals! READ NEXT >> Panipat actor Arjun Kapoor shares an inspirational post, girlfriend Malaika Arora's reaction will give you major couple goals!